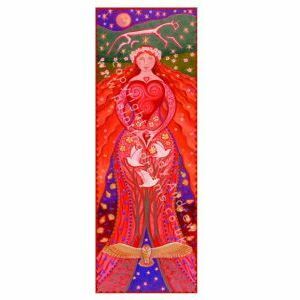 Goddess of Love wall hanging. Shown here as Rhiannon, Her presence is depicted as the white horse and her birds which bring inspiration. Flower face - Blodeuwedd is also honoured here - seen here in Her owl form. 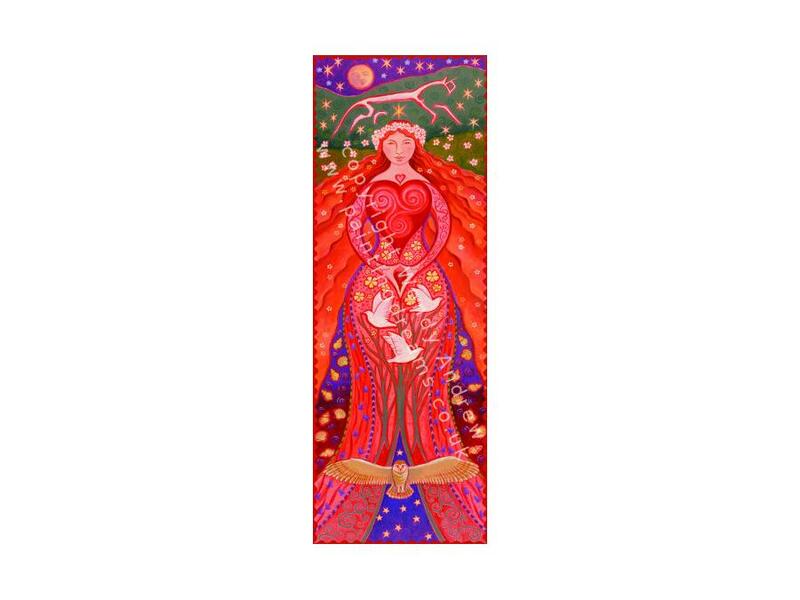 The beautiful Love Goddess will fill your heart with joy and bring a zest for life! The hanging is beautifully printed on a heavy weight cotton based fabric. With a wooden dowel top and bottom. It measures 400mm x 1250mm. Perfect to hang on a door or wall.